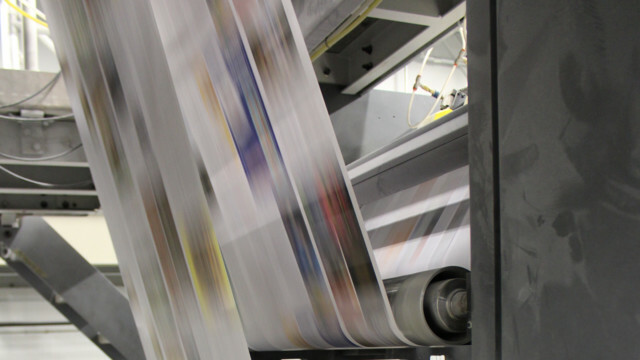 Catalog printing in the United States has been on a steady decline since 2007, when new postal rates went into effect raising rates as much as 20-50 percent almost overnight. The market, which mailed roughly 21 billion catalogs in 2006, shrank to 13 billion in 2014. However, the 2014 numbers were an increase over 2013, which mailed only around 11 billion books – so the market is starting to see a rebound. And commercial printers will be one of the suppliers who will benefit from a resurgence in printed catalogs. In fact, catalogers aren’t just printing books and mailing them, they’re creating sophisticated marketing campaigns in which catalogs feature prominently. They are using technologies that allow them to post the same catalog information online as in print, and they are experimenting with tying in things like mobile or augmented reality technologies. “Mobile apps and digital editions are great for making catalog content available online and for the on-the-go customer while augmented reality and—love them or hate them—QR codes bring an added level of reader engagement and a great way to deliver more detailed information to the buyer,” said Bozuwa. Another benefit to having the traditional print mediums work hand-in-hand with the newer options is product accuracy. Davison pointed out that every screen on every device is different, with things like color or texture open to interpretation based on the white balance of that particular screen. If you saw the Internet controversy several weeks ago over whether a dress was blue and black or white and gold, you understand just how big of a problem this can be for retailers. Catalogs, however, are controlled and color corrected, not to mention they use high-resolution images that have a great deal more detail than a screen can produce. When used together, consumers get the best of both worlds—accuracy and detail in the printed catalog, and convenience of ordering on their own schedule online. Sheridan has also set an example for other printers by ensuring its equipment list is up to any task—no matter how large or small—a cataloger might request of them. The company runs two web (8 unit) duplexed Heidelberg M-2000 heat set web offset presses; two web (9 unit) duplexed Goss M-2000 heat set web offset presses; two (6 unit) 40-inch Komori LS UV sheetfed presses; and a Muller perfect binder. Bozuwa said that right now, they are focusing their catalog efforts on the sub-50,000 piece market, since the company has found there are more “niche” catalogers out there looking to try new, innovative mixes of media than there are huge-volume mailers right now. In addition to making sure the equipment list is up to the task of varying print runs, Davison noted that printers need to be looking at efficiency. He believes that printers who work with their catalogers to create the most efficient supply chain—from beginning to end— are going to see the greatest rewards. He also encouraged printers to look at services such as list and data management, since those are complimentary to the catalog publishing world, and is an area printers are well positioned to capitalize on.